By Jennifer Burcke on July 13, 2012 Visit Jennifer's Website. If you read the Community Chickens e-newsletter on a weekly basis, you’ve probably seen the great collection of posts that discuss gardening with your chickens. Fellow contributor Rebecca Nickols wrote a four-part series that includes a wealth of information regarding the subject. I have enjoyed reading the other contributors’ accounts of their chickens and how they integrate them into their organic gardening methods. Most of them have free-range flocks. I love the idea of our hens happily wandering around our farm. Unfortunately, our farm is located on a state highway that carries a heavy traffic load. We also have a neighbor who isn’t open to the possibility that one of our hens might decide to come for a visit on her property.I don’t want to take the chance that our girls might wander too close to the road. I have no intention of allowing our girls to be unwanted guests next door. True free ranging just isn’t an option for the heritage breed flock at 1840 Farm. Instead, we provide our hens with plenty of sunshine and fresh air in their covered outdoor run and sandbox. They clamor to exit the coop and descend the ramp each morning. Abigail, my daughter’s favorite hen and namesake of First Lady Abigail Adams, is predictably the first in line every morning. They pass their daytime hours scratching about and enjoying the fresh greens and treats that we provide. While it took some time, they finally learned to make their way back up the ladder and into the coop as dusk overtakes daylight at our farm. Occasionally there is a holdout, but their nighttime ritual of a whole grain cereal treat is a powerful motivator. Eventually, they are all accounted for and safely tucked away for the evening. Ironically, as I am putting the hens and goats to bed each evening, a dreaded garden pest is just preparing to report for duty. They’re gathering in the lettuce bed and eyeing my heirloom radishes. That’s right: The slugs are hoping to have a late-night dinner in our garden. Slugs thrive in rainy weather and well-watered garden beds. They are attracted to leaves and seedlings in the garden. 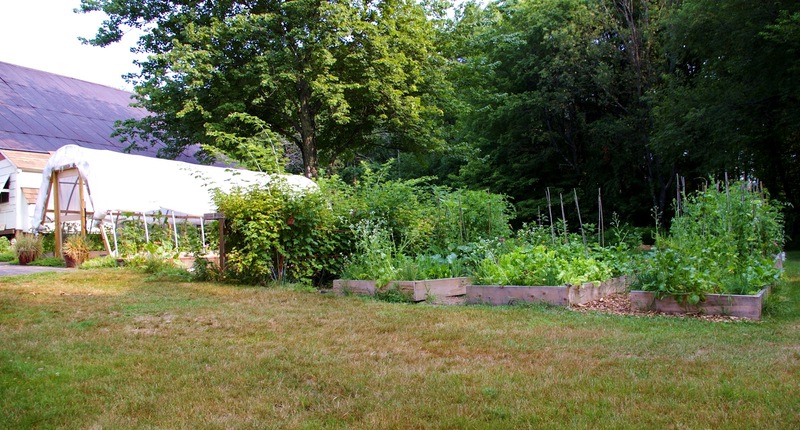 It hasn’t been rainy at 1840 Farm this summer, but the raised beds are watered on a regular basis. They have to be in order for our heirloom fruits and vegetables to flourish. 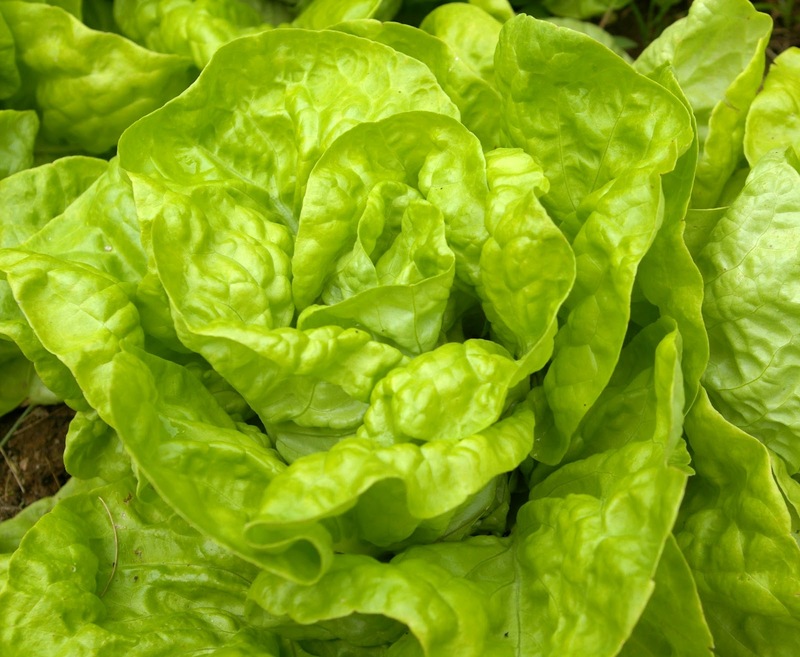 The very moisture that helps to encourage our Tennis Ball Heirloom Lettuce and Cherry Belle Heirloom Radishes to grow also beckons the slugs to come to feed on our beautiful produce. It’s terribly ironic. Add in that I have a wonderful flock of heritage chickens that I can’t allow to free range and feed on the slugs, and the irony becomes so deep that I can barely wade through it in my knee-high Wellingtons. But I’m a farmer. More than that, I’m a chicken keeper, so I expect to meet challenges head on. I’ve handled frozen water in the cold New England winter with the help of your suggestions. I turned a leaf sweeper into a brooding pen when the arrival of our latest batch of chicks was imminent. I was confident that I could come up with a method to eradicate a pest as simple as the slug. The answer was literally staring me right in the face. Eggshells were lying on the kitchen counter following a dinner that consisted of a smoked cheddar omelet and potatoes. I knew that slugs and other vile garden pests (I’m talking to you, tomato hornworms) disliked crawling over rough or jagged particles. In fact, I had used coarse cornmeal around my tomato plants the last two years in an effort to deter them organically. If cornmeal was an effective deterrent, then I was hopeful that a hard, jagged shard of dry eggshell would send them slithering in the opposite direction. In minutes, I was at my computer searching the Internet to make sure that my plan to eliminate the slugs wouldn’t adversely affect my beloved heirloom tomato plants. Apparently, I am not alone in my hatred of slugs or sudden inspiration to use eggshells for deterring them. Mother Earth News has several references to using dried, crumbled eggshells in the organic garden. There were firsthand accounts from readers as well as full-length articles praising the use of eggshells to combat slugs. 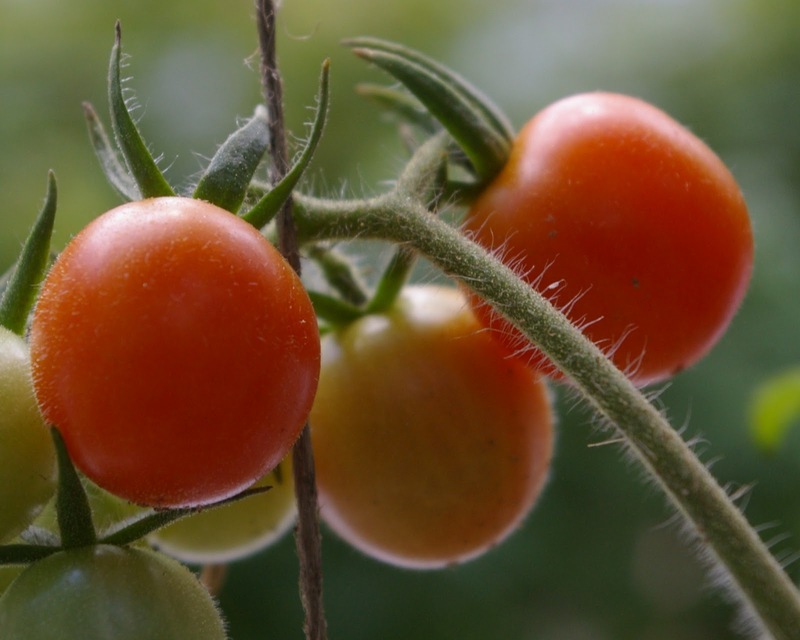 When I found an article that claimed that the added calcium from the eggshells would help tomato plants to thrive and guard against blossom end rot, I was sold. I decided that I would have to try it and see for myself. During this year’s growing season, I have been using our eggshells in the garden and have seen very few slugs. What’s more, the slugs I have found were out in the open instead of feasting on the plants that are safe inside a lovely ring of sharp eggshell pieces. I know that a slug could still make it through my chicken keeper’s barrier, but I feel like it has been a very effective way to tackle this problem organically. For me and my family, it has been a much better alternative than using chemical deterrents or trapping them in beer and having to empty containers of hot, sluggy beer each morning. 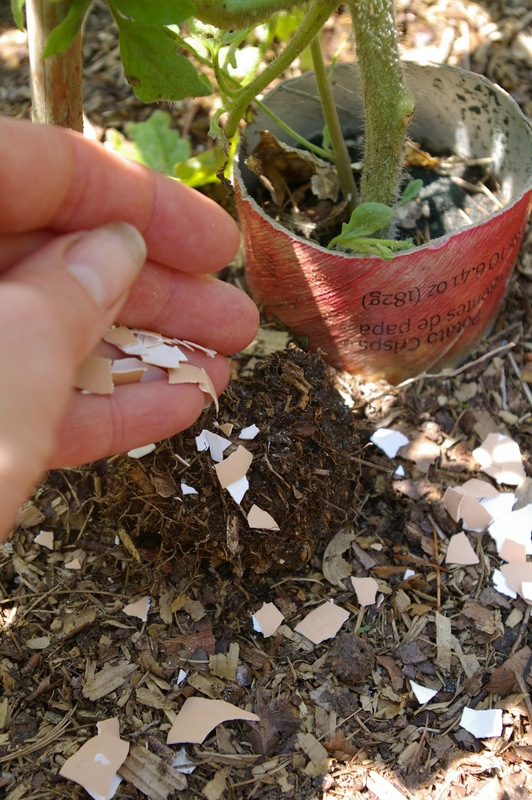 Preparing the eggshells for adding to the garden is incredibly simple. I rinse the empty shells to remove any remaining egg and then lay them aside to dry thoroughly. Once they are completely dry, I go out to visit the garden and survey to determine where the eggshells might be needed. Then I crush them one at a time in my hand, distributing them in a complete circle around the base of the plant. In the lettuce bed, I lift large heads of lettuce up in order to place the eggshells in the moist, inviting slug environment under their leaves. When treating rows of radishes, I crush the shells and deposit them in the space between rows. I’m happy to have a new purpose for the eggshells that usually end up in the compost pile. I also have a garden that is in much better condition than last year thanks to a lack of slug damage. It’s too soon to tell if the calcium boost will help our heirloom tomato yield, but with more than 100 plants in the ground, I’m fairly certain that I’ll be able to discern the validity of that claim by the end of the summer. Early this morning, I found one lone slug in an open space of the raised beds. It was relatively small, so I comforted myself with the knowledge that this slug had not spent the evening gorging itself on our fresh vegetables. Then I picked it up and walked immediately to our coop’s outdoor run and placed it in the treat bowl. Our Black Australorp was happy to dispose of it immediately. I was happy to know that there was one less slug to contend with. I am hopeful that I will not discover another slug on my garden tour tomorrow morning. In order to tip the scales in my favor, I’ve scattered the crushed eggshells from over a dozen eggs throughout the garden today. My hope is simple: that the slug population will take the hint and choose to live in my neighbor’s garden. It would be a wise decision on their part. After all, she isn’t a chicken keeper. How do you garden with your chickens? Do you use eggshells to control garden pests? Share your chicken gardening tips in the comment section so that we can all learn from your experience. I use dried crushed eggshells around young squash plants and throughout the season to deter squash bugs. I have used egg shells for slug control . It works well. I save, rinse, and dry the shells all year. When I have a good amount, I use my food processor outside ( can be dusty) and grind them up. I spread them around plants. It saves time and energy. 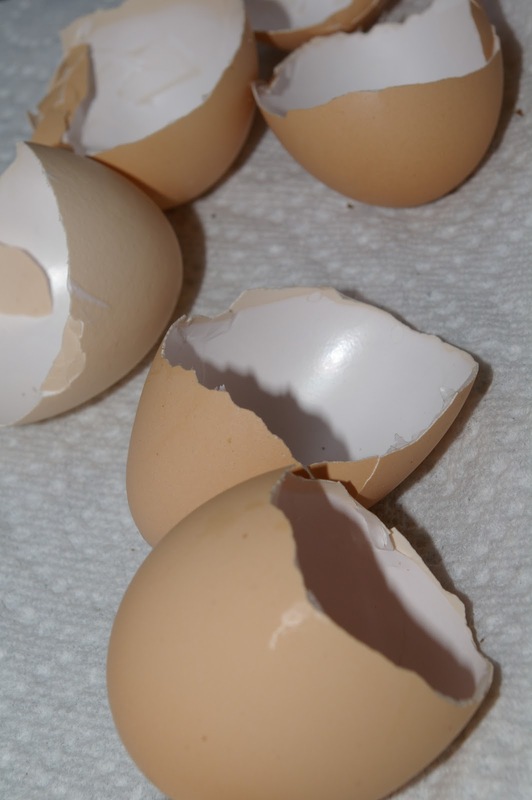 I’ve been using crumbled eggshells for a number of years – I bake them in the oven at low heat to fully dry them and then crush them with a rolling pin. One word of caution, though – in the early spring, female birds will eat eggshells to bolster their the growing tips of new seedlings very own calcium production, and they also find the growing tips of young seedlings tasty. 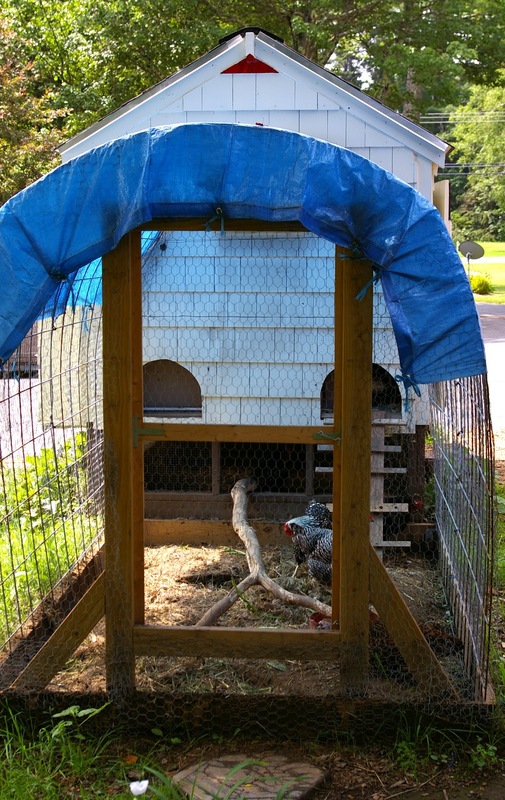 So I cover my starts with makeshift birdguards – old window screens. When I lived in Washington state (very wet and rainy) I had a problem with slugs. I tried everything until I came up with this solution. Slugs die from salt. In the fall when the slugs go underground for the winter I spread (lightly) rock salt on the ground. It only takes a tiny bit to get on the slug and with the winter coming they will die. The next Spring you will see a lot less slugs. Do this every fall and you won’t have as many. The winter precipitation (snow or rain) will wash away the salt and you won’t even know it was there. We use eggshells for slug and deer control. We don’t wash them at all. We throw them in a plastic bag to collect them leaving it open in the garage while we wait for them to dry. Scatter a thick 1-2 inch boarder around all the areas we want to keep the slugs and deer out of and let it work. The slugs cut themselves while trying to climb over… and the deer can smell (what we can’t) the smell of the eggs and stay away from the garden. We have chickens and think your web site is great. The only problem is that when we go to a new page to read your article, the video starts again. So before reading the article we have to find the video and stop it. Watched the video the first time (it was great), but auto playing it every time is a bit of overkill. My wife was reading articles and had opened several pages with the video playing on both of them. I’ve used eggshells in the garden for years, although I wouldn’t know an ‘increased yield’ if it bit me, as I’m rather a small-potatoes farmer with only two to feed (Although I’m thinking about starting an ‘honor system shop’ for extras). The chickens adore anything like slugs, etc., and will sneak into the garden to hunt around for them. Everyone is so set on chickens, I raise mostly ducks. Ducks can be let into the garden to eat up every garden pest, fertilize as they go, and they will not eat the veggies or tear up your garden. And they LOVE slugs and hornworms, and pekins, rouens, runners, and muscovies are good egg layers. I save all my egg shells for this purpose. I wash and dry them as you do but I put them in a plastic bag to collect them. Periodically I crush and spread them in the garden. The only problem I’ve had is the rain tends to beat them into the soil. Diatomaceous Earth also is a good slug deterrent but it too washes away.